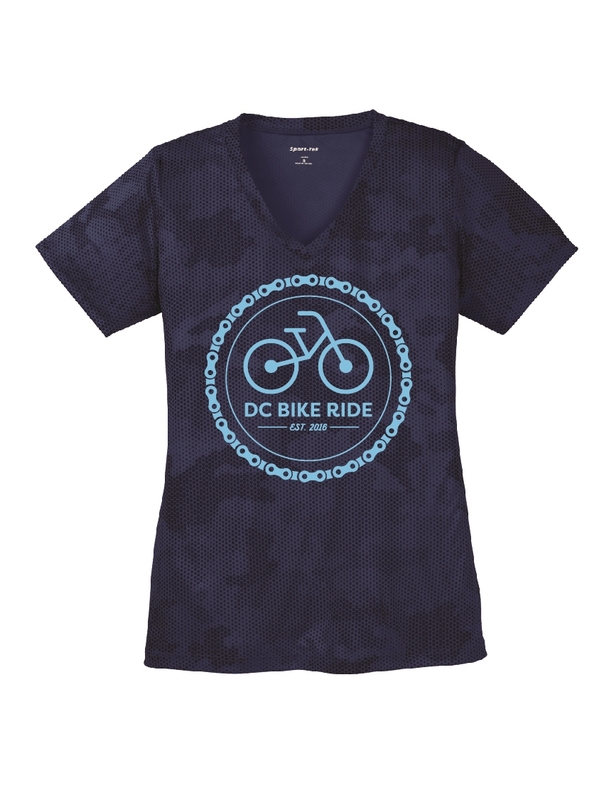 Perfect for your training rides or a trip to the gym, this moisture-wicking, navy blue digital camo performance tee features our tonal DC Bike Ride logo on the front with DCBR logo on the back. The shirt has an on-trend digital tone-on-tone camouflage print and a v-neck. This is a ladies cut t-shirt. 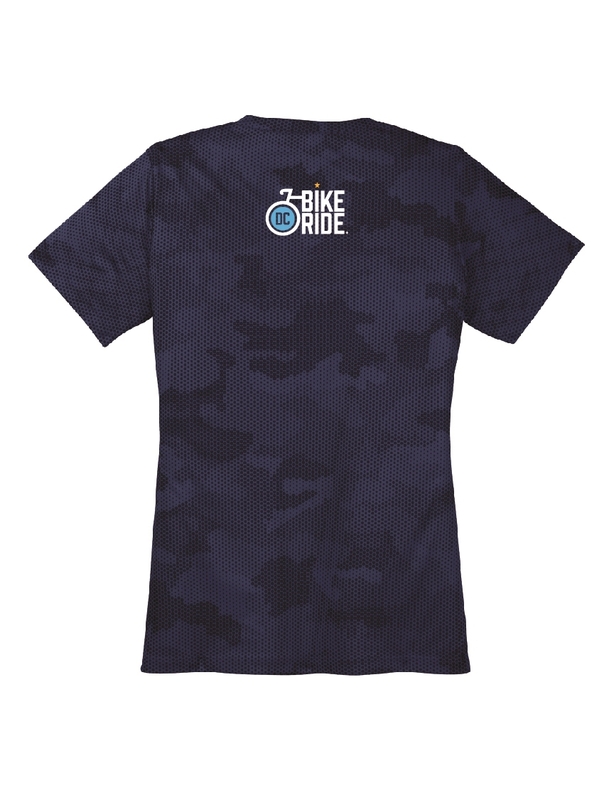 Lightweight and breathable 100% polyester interlock. Runs true to size.